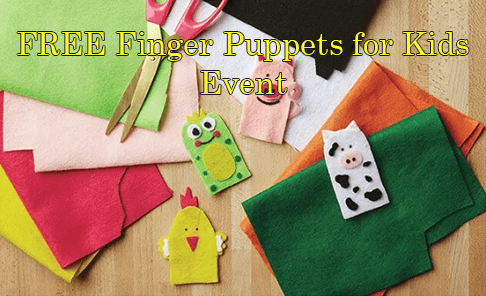 JOANN Stores is offering a FREE Finger Puppets for Kids Event Today (Saturday, March 9th) 11am – 2pm! Simple, fun and so creative! The kiddos will have a blast making a cool cast of finger puppet characters to take home. *Supplies are limited for this event and may vary from store to store.